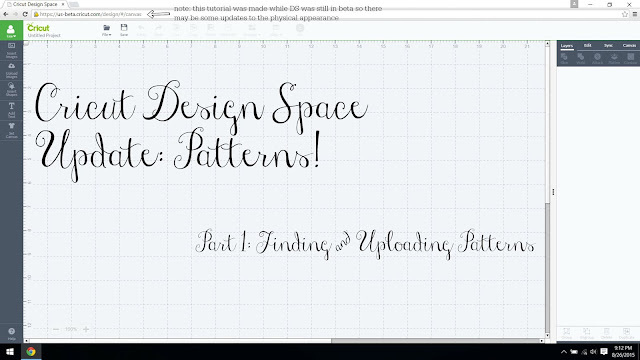 Lisa is Busy Nerding: Cricut Design Space: Patterns! You'll notice that for the most part, the Design Space looks the same except that the grid lines are back as default. Same sleek, easy to use interface with some great new features! So the first way you'll want to mess around with patterns is to insert a basic shape to really see how they work. Any shape will do! 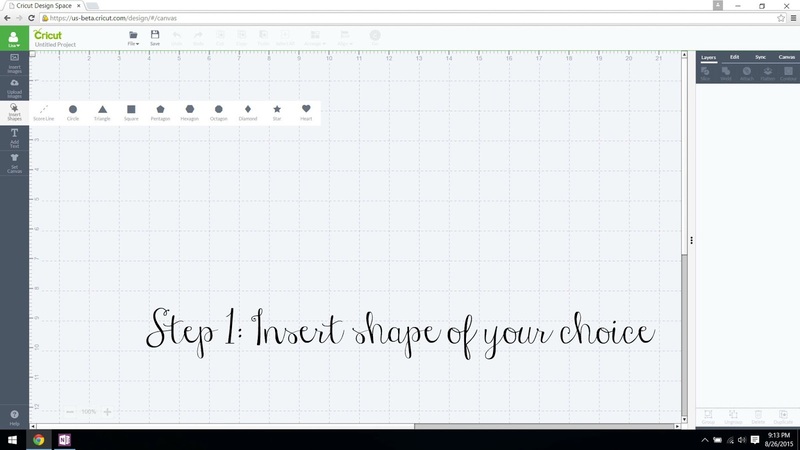 After you select your shape, click on the picture on the right hand side under the "layers" tab and it will bring up a secondary menu where you can choose from 4 different options at the top. Select "print" to make this shape a print then cut image. Once you've made the shape printable, a new sub-menu will populate next to colors called patterns! 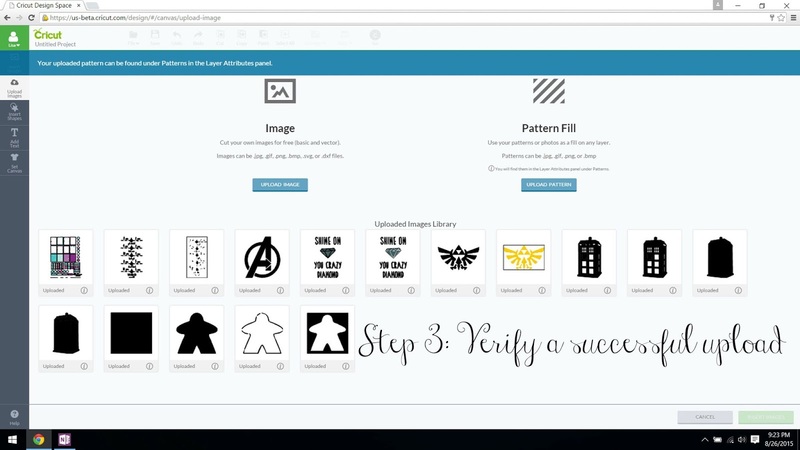 You'll get to see ALL of the patterns you've bot access to! SO FUN. 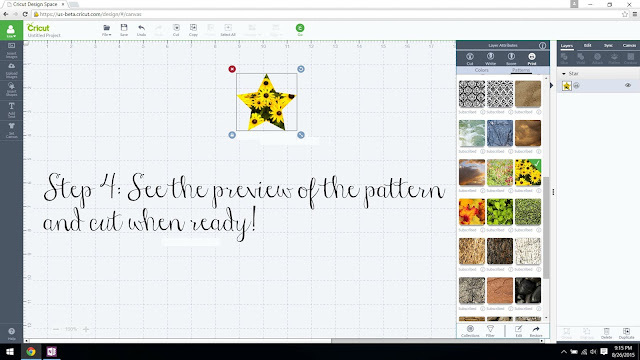 Peruse the patterns, find one you want, and click on it. 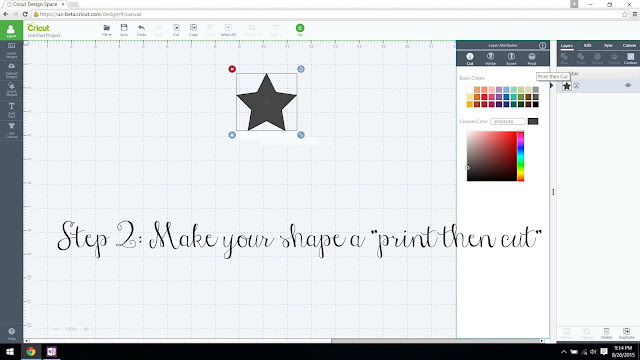 You'll see it fill in the shape you've selected and you're now able to print that little beauty! The shape is edited just as easily as any other shape or image in Design Space. But you want to upload your own pattern you say? Select the "upload image" option on the left hand side of the Design Space screen. That will bring you to an updated version of the upload image screen. 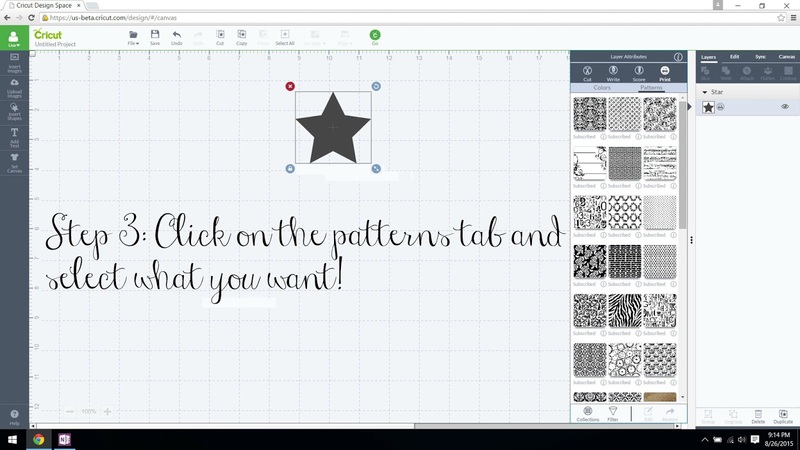 There's now a "pattern fill" option, which is what you'll click on and go from there. 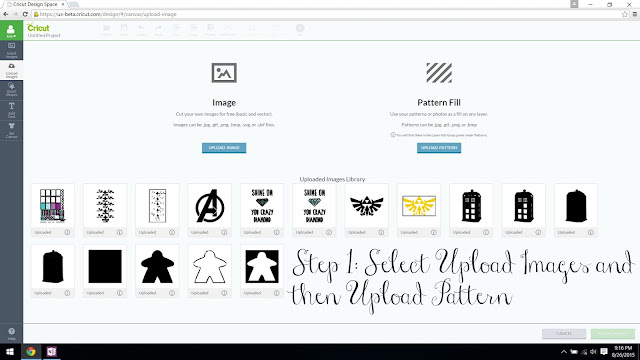 Find your pattern on your desktop, and select upload. 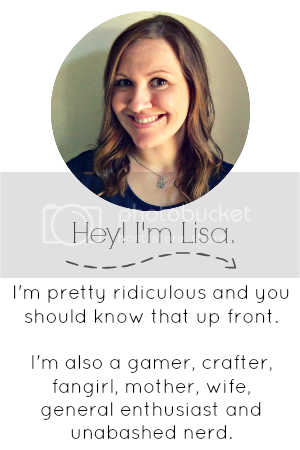 You'll want to give it a name that you can search and also tag it for easy searching later. 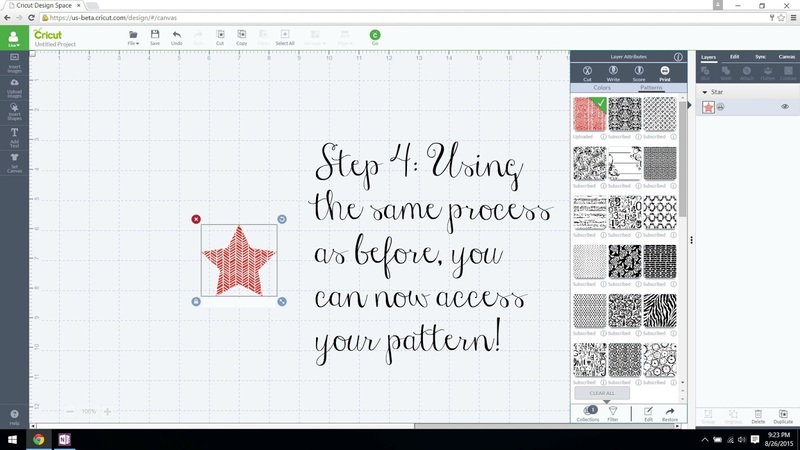 The pattern will be saved in Design Space forever so you can access it easily! 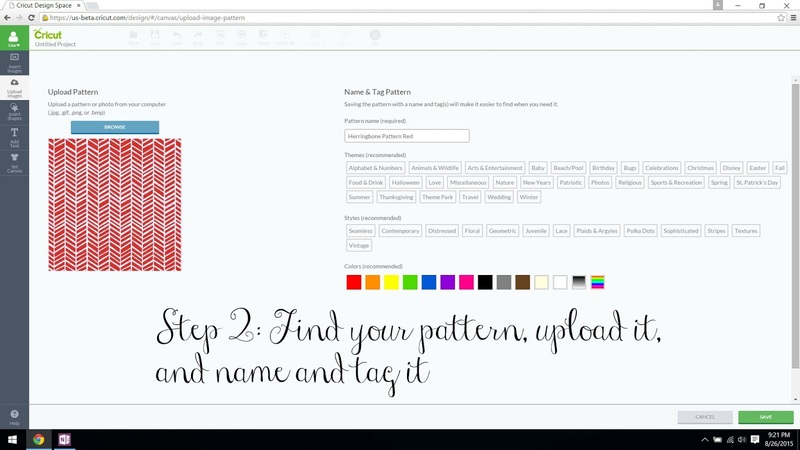 Once you've uploaded your image and saved it, you'll get a notification at the top of the screen telling you that it's included in your patterns now. Slick and easy, I tells ya! Using the same steps as before, you can now access your pattern! It will be saved there for your access whenever you want. I'm already dizzy from the possibilities of little stickers and add-ons for cards and envelopes, you guys! Are you excited to experiment with some patterns? Stay tuned for parts 2-4! Hi Jennifer! It sounds like the launch is sometime in September - exact date to be announced. Thank you!